Wearable gadgets used to be reserved for international men of mystery and futuristic starship crews. Thanks to the advancements in modern technology, anyone can get information on the go with smartwatches and smart glasses. In this article, I'll offer insight into how wearable Technology could transform the world of corporate training. Moment of need learning is crucial in corporate settings. It boosts performance, improves employee satisfaction, and increases retention rates. For this very reason, wearable technology can be an invaluable corporate training tool. While smartwatches and smart glasses, such as the Apple Watch and Google Glass, are known for their fitness tracking and personal assistant features, they can also be used to create interactive training experiences. In this article, I'll take a closer look at the applications and benefits of wearable technology in eLearning, with a special emphasis on corporate training. Wearable technology has the potential to take simulations and scenarios to a whole new level. Instead of just watching a scenario unfold on the screen, then pointing and clicking to venture down the decision paths, corporate learners can become a part of the action. Thanks to VR applications and smart glasses, corporate learners could step into the story and interact with the characters, and make decisions based on body language and environmental factors. Best of all, this can all be done in a realistic setting that mimics their workplace, which gives them the ability to more effectively apply the information they are learning when they are on-the-job. No more dry and dull compliance training presentations or two-dimensional task tutorials. Most product knowledge training materials in today’s workplace consist of paper printouts or basic descriptions on the screen. Just imagine how much more beneficial and informative product knowledge training could be with the use of wearable technology. Employee could view three-dimensional examples of the product, swipe to move it around and view it from every angle, then tap on various elements of the item to view its specs and benefits. They would be able to fully explore every aspect of the product without even leaving the sales floor. Not only does this increase profits and customer satisfaction, but it reduces employee turnover. This is due to the fact that a well-educated employee is a confident and happy employee. If they know as much as possible about the products they are offering to customers, then they are more likely to seal the deal and fulfill their job duties. Instant access to manuals and tutorials. There are times when employees need immediate access to corporate guidebooks, manuals, or tutorials that give them a step-by-step walkthrough of a specific task. This is when wearable technology really shines in the workplace. Corporate learners can simply swipe or tap to get the online resources they need instantly. For example, if a member of your sales team is helping a customer on the floor, they can quickly view the product features and benefits then pass them on. Customer service associates can look up how to complete a return in a matter of seconds, and IT support staff can troubleshoot a problem quickly and conveniently. All of this is done hands-free by using wearable technology. Efficient use of company resources. 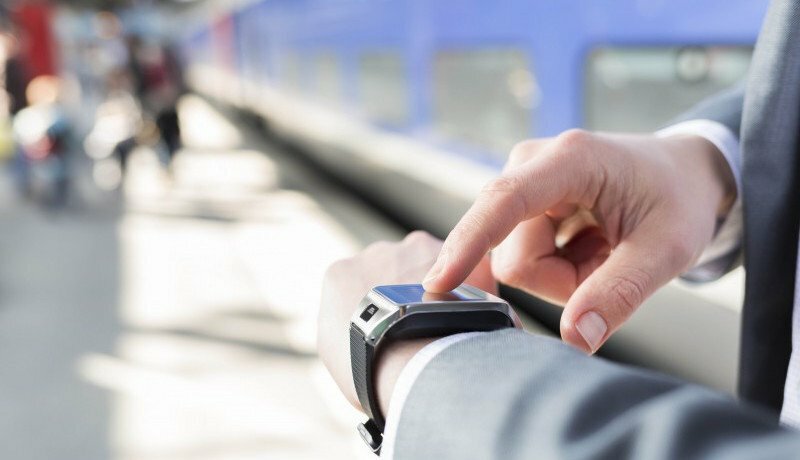 Wearable technology can significantly reduce training costs, as it cuts down on the number of scheduled training sessions you will need to hold each year, which equates to fewer paid training hours. It also gives organizations the opportunity to onboard their employees more efficiently. Instead of spending days getting familiar with the products and services, new hires can view all of the information on their smartwatches or glasses. They can also engage in scenarios, simulations, and interactive orientation presentations, or even take a look at the upper management bios. If an employee needs support from a supervisor or manager, they can use wearable technology gadgets to get the help they need immediately. Video chats, instant messages, and emails are all accessible via smart devices, which means that employees can instantly address concerns and ask questions without taking time away from their job responsibilities. They can also hop online and view eLearning videos or articles that serve as supplemental training resources. Tech developers are now working on sensors and actuators that bring the all-important element of touch to wearable technology. Imagine that an employee is completing a training simulation and they choose a path that might lead to disastrous results. The device would then send them a little vibration or pulsing sensation to let them know that they may want to rethink their decision. This provides immediate and inconspicuous feedback to your corporate learners, allowing them to get the most of the experience without worrying about judgment or real world risk. As a result, they are able to correct learning behaviors and uncover the correct solution when it still makes a difference. Seamless collaboration in the workplace. If you’ve been trying to boost collaboration in the workplace, then wearable technology is going to be an invaluable resource. Employees can communicate with one another, collaborate on projects, and ask their co-workers a question whenever, wherever. If they are in the middle of a transaction and need to know how to access a feature in the POS, they can ask a supervisor via instant messaging. When they want to work with another member of the project team to complete a task, they can do so from anywhere in the world. All of this boosts productivity and, ultimately, the company’s bottom line. In many ways, wearable technology is the natural evolution of mobile learning. BYOD strategies in the near future may be expanded to include smart glasses and smartwatches that provide whenever, wherever training for corporate learners. Using wearable technology in your corporate training strategy can reduce costs and increase productivity. Read the article How To Dramatically Reduce Corporate Training Costs to discover how you can make the most of your resources by switching to online training.